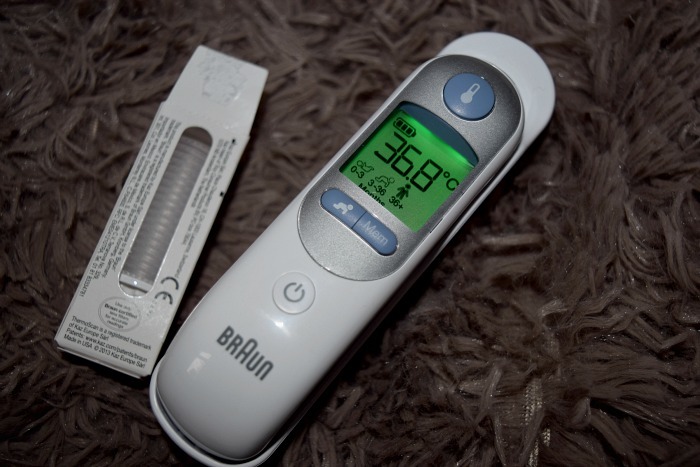 I was recently asked to review a Braun Thermoscan 7, The Thermoscan 7 has a unique age precision feature meaning you don't have to guess whether or not your child's temperature is too high/too low/ normal. Simply choose your child's age range, take their temperature and the colour coded display will help you understand the temperature reading. I was kind of hoping I wouldn't have had to test it out so much but Zach has recently been very poorly again. Last Winter he was poorly 7 or 8 times and was regularly at a&e in the early hours struggling to breathe. Between the hospital and doctors we were told it was tonsillitis, croup or a viral infection. He was poorly for weeks on end, not sleeping as his coughing and breathing was so much worse in the night and as soon as summer came he was fine and healthy. Well just weeks ago it came back when the cold weather reappeared. It started on a Friday night, he started breathing strangely and suddenly started bringing up phlegm and he was burning up. I ripped open the Thermoscan 7 to check his temperature which was at 39.9 and the display showed red. I knew then that he had a fever and so started giving him medicine. I would usually take him to hospital at this point where he would be stuck in a waiting room for hours but instead popped him in my bed to watch him and regularly checked his temperature and gave him his next dose of medicine. I carried on like this until I took him to the Doctors Monday morning. The Thermoscan 7 actually stores the last 10 readings in it's memory which is easily accessed for you to look through. By the time Monday came, Zach was so used to having his temperature checked that he happily let the Dr use his (which was exactly the same!) whereas he is very shy and would usually get upset at strangers poking around him but the fact he knew what he was doing really calmed him. 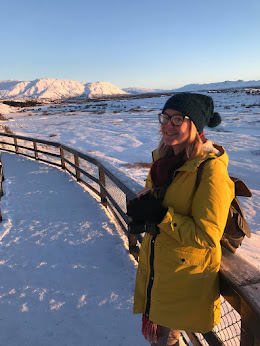 When telling the Dr I had been checking his temperature with the same thermometer, he knew that the readings I was giving him were reliable and I found it really helped and meant for once we were being taken seriously. Because of his high temperatures as well as the other symptoms he has finally been given a ENT referral which I have been hoping for for over a year now. I genuinely think every household should have a proper thermometer like the Thermoscan 7. It comes with a pack of lens filters which are easily attached and removed or replaced to avoid cross contamination between the family. There is a great demonstration clip here showing you all the features and how to use the Thermoscan 7. You can buy the Thermoscan 7 from Boots here. We were sent the item featured free of charge for the purpose of this review.